It was roughly 12 days since the rain has started. At first, PAG-ASA said that there is a low-pressure area (LPA) coming in and the typhoon was named GENER. Gener came and poured rain mostly on the northern part of the Philippines. Most parts of the Luzon were complaining about the rains and winds but it was already mentioned that the rains were not directly from Gener but the southwest monsoon or locally known as, HABAGAT. Roughly the whole Luzon got wet due to the monsoon rains that lasted for 3 weeks, beginning July 23, 2012 to August 8, 2012. People have thought that the rains will stop soon but after 2 weeks of almost non-stop rains, the dread of Ondoy comes into mind. The last week of the monsoon rains, August 3 to 5, 2012 were the hardest rains. It seemed that the rainfall doubled and the 2 major rivers, Marikina and Pasig rivers swollen up. the rivers rose up as high as 20M! the dams were forced to open at least 1 of their gates. “The National Disaster Risk Reduction Management Council said on Tuesday, August 7, that 7 dams have already reached spilling levels: these are Angat and Ipo (Bulacan), La Mesa (Quezon City), Ambuklao and Binga (Benguet), and Pantabangan (Nueva Ecija). What to do to avoid another Habagat disaster? 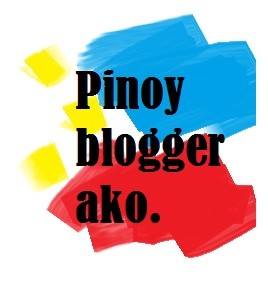 “The Philippines is a country with unfulfilled high development potentials. Let us revisit the high development potentials of our country and its beautiful sceneries and wonders of nature. We are the first in the world in terms of marine biodiversity and also considered first in having the best musicians and sailors. I am now told that we are the first in BPOs, having just surpassed India, third in the longest coastline, some countries going to war to claim longer waterfronts like Iraq invading Kuwait, and Dubai making reclamations. We are fourth in gold, fifth in all mineral resources and No. 12 in human resources. The Filipino expatriates are the popular choice of kings, queens, sheiks, presidents, prime ministers, developers, hospitals and schools, among many other international employers. Let us focus on the Philippines’ additional competitive advantages—its strategic location for one. 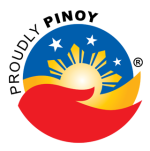 The Philippines was the international hub in the Asia-Pacific region of Spanish Europe for 350 years, the trade between Spain and the Philippines, the Manila-Acapulco trade and Manila-Shanghai-Acapulco trade routes for almost 350 years, then the Asia-Pacific hub of the Americans for 100 years. Pre-Spanish times, we traded already with the Chinese, Arabs, Indians and the rest of Asia. The center of trade and commerce started at the Mediterranean Sea, in the 21st century to this day. We enjoy the wealth of these influences infused into our heritage, culture as well as architecture. The center of trade and commerce started in the Mediterranean Sea, then until the last century, the Atlantic Ocean, the 21st Century will be Pacific Ocean or the Asian-Pacific Century. The Philippines is right in the strategic center of the Asia-Pacific. Our global competitiveness continued during the 1920s to the 1950s, when we ranked second in Asia after Japan. However, at present, we lag behind our Asian neighbors and it is time to refocus on the issues at hand to plan for a better future. The Philippines is more than 400 times the size of Singapore in terms of total land area. It is almost 350 times the size of Hong Kong, about eight times the size of Taiwan and three times bigger than South Korea. In fact, Singapore—all 71,000 hectares of land, can fit into our 90,000-hectare Laguna Lake. We can be a great globally competitive 400 Singapores, 350 Hong Kongs, eight Taiwans, three South Koreas—all 7,107 islands of beauty and excellence. This should encourage us to make the most of our strength on the land, our people, and our natural resources with which the Philippines has been gifted by God. Therefore, as a nation, we must work twice as hard to achieve our goals. We must strive to reach the global benchmarks to be worthy of the respect we must have for ourselves as well as from other countries. The above recommended themes evolved into our 2011 theme of “MAPping a Culture of Integrity” which the whole 2011 MAP Board unanimously approved. As members of MAP, we must steadfastly adhere to the highest ethical standards, good governance principles and management excellence, while courageously confronting the growing complexity of managing businesses in an ever challenging environment. MAP members must lead by example in the fight against corruption by managing their business ethically and with integrity, paying the right taxes, taking care of their stakeholders and the environment, not tolerating bribery, and not just talking about corruption but also reporting and exposing it. For a business perspective, we encourage you to read the Arangkada Philippines 2010 by the American Chamber of Commerce and other foreign chambers, European Chamber of Commerce of the Philippines, Canadian Chamber of Commerce, the Australian-New Zealand Chamber of Commerce of the Philippines, the Japanese Chamber of Commerce of the Philippines, the Korean Chamber of Commerce of the Philippines and the Philippine Association of Multinational Companies Regional Headquarters, Inc. (Pamuri). In this century, MAP looks toward creative and new ideals. We continue to advocate good governance, management excellence, corporate social responsibility, and environmental sustainability. Let us forge various communities in the society for this century, which my professors at the Harvard Graduate School of Design considered as the “Re-Century:” Renew, Reduce, Reuse, Recycle, Replace, Reengineer, Redevelop, Repair, Rejuvenate and Revitalize. Hopefully, I would like MAP to carry out actions that are immediately possible. For a renaissance to happen, management should be open to new ideals that are creative and artistic, progressive and effective, short-term as well as long-term and visionary that must follow this new age of constant change. The MAP Communications Committee is mandated to review all external communications and use the available platforms (columns, GMMs, annual conferences, MAP Executive Academy) to project a more active and relevant management organization and attract, or give a higher profile to its members. The Board has approved the Communications Plan done by the Communications Committee whose goal will be to project MAP as the premier association of top management executives. Focus the MAP columns (“MAPping the Future” in the Inquirer every Monday, “MAP Insights” in Businessworld every Tuesday, and “MAP Statement of the Week” in Businessworld every Monday) on management issues. In order to propagate best management practices, the Board has agreed to reactivate the MAP Speakers Bureau. The Map Speakers Bureau provides the venue for members to share their wisdom and expertise with their fellow MAP members and also with other business or professional organizations, schools, students, and other management practitioners and educators. MAP intends to showcase in its monthly GMM’s selected men and women of expertise and integrity to talk about their professional, personal and corporate advocacies and initiatives. The MAP Executive Academy will continue to serve as the umbrella brand for all educational activities for MAP members as well as the venue for continuing education and sharing of the latest technologies and information of management and leadership. We have not increased the dues this year but we will see to it that members’ benefits will be enhanced. Other initiatives will be announced as well via electronic circulars. MAP will continue to be more relevant, responsive with challenges of a rapidly changing environment here and elsewhere in the world. the MAP’s Teachers Training Program-Management Educators’ Workshops (MEW) and Seminars for Management Educators (SME) in partnership with Asian Institute of Management (AIM). the 2nd MAP CSR Leadership Challenge which aims to promote CSR as important and integral part of good management practice, inspire MAP members and other top executives to improve their practice and set the bar for the practice of CSR in the country, and recognize companies that exemplify what it means to be a true corporate citizen through their CSR programs. MAP continues to be a member of the AAMO, the Asian Association of Management Organizations, which is the umbrella association of management organizations in the Asia-Pacific to share actively and leverage resources to achieve their respective missions. Countries represented at AAMO includes the Philippines, China, India, Australia, Hong Kong, Macau, Singapore and Qatar, among other countries in Asia. We have various committees to cover management excellence, environment, infrastructure, ICT, agribusiness, trade and industry, CSR, good governance, among others. You can also click here for the News to Go interview on him by Howie Severino. In the end, we all need to work on what we can do to ease out the effect of rains. Keep garbage for pick-up. Don’t just throw them anywhere. The little things that we do will help us big time. this is the FIRST TIME. first time that i had to spend 24 hours of my life inside the office. i was not forced by the management to do so, but the weather forced me to. according to the news from gmanews.tv, “Television news footage showed one flooded road in suburban Quezon City appearing like a raging river. The storm intensified the seasonal monsoon, drenching much of the main island of Luzon where Manila is located, weathermen said.”. i tried going someplace earlier this morning after my shift and my, oh my, water is FAST RISING ALREADY! i had to go back to the office to rest and just be sure i will be safe, and sure enough, I, along with other Dell employees. after some time, we had been given sleeping bags and food coupon. and before the night is done, some of the people here already went home due to their own personal reasons, and i hope they do make it because i read in Definitely Filipino that “Don’t pass by Buendia from Ayala towards Taft/Roxas Blvd. Traffic is not moving…. Everybody’s jammed. Flooded areas are Makro, Dela Rosa, Pasong Tamo areas”. this is really hard. i just would like to ask everyone, PLEASE PRAY FOR THE FAMILIES WHO ARE AFFECTED BY THE FLOODS.